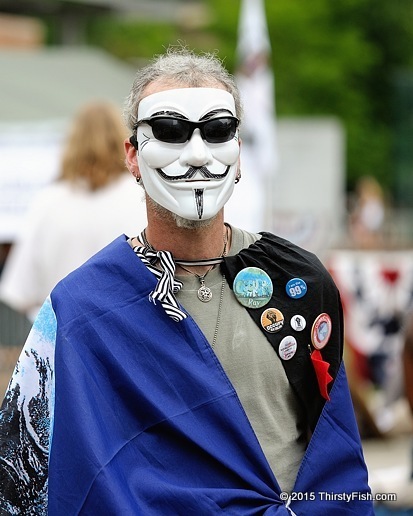 Anonymity, derived from the Greek anonymia which means "namelessness", is a difficult subject to write about. Inherently, we seek anonymity to be free of fear or embarrassment. But there is more to anonymity than inconvenience or fear. Anonymity is inherently related to security. The same reason why do not give our house or car keys to anyone who asks, or post our bank card pin numbers on the Internet. No one should have the right to know your identity if you don't want them to. The counterargument often repeated is something like "whoever has something to hide is a probably criminal". That's a weak argument. The Federalist Papers, promoting the ratification of the United States Constitution, were authored by Alexander Hamilton, James Madison, and John Jay who wrote under pseudonyms. One could argue that they were "criminals", especially in the eyes of the British. What's revealing about that example is, whoever does not want your anonymity often has something to hide themselves. Facebook is demanding that you use your real-name. Why? Could it be because Facebook along with all major tech giants cooperated with the NSA? You might not be aware, but Google knows more about you than your mother or your spouse. Think about that for a moment. Every phrase you have searched, every page you have visited is known to Google and the government, while you might be thinking that you are anonymous. What can they possibly do with your data? First, they can profit off it; And they do - that is Google's revenue model. But more disturbingly, they share it with governments who selectively use it to weed out and suppress dissent. They target whistleblowers and activists. They steal trade secrets. And if you are familiar with McCarthyism, they can retroactively criminalize your past thoughts or political ideas and target you. It's already happening. I personally don't care much about anonymity, even though you probably don't know my name. But whoever has a problem with anonymity is revealing something about themselves. Avoid them if you possibly can - whether they be persons, companies or governments.